"Dana was amazing as our Doula. She assisted in so many ways during my pregnancy and delivery. She helped educate my husband and myself and gave me the confidence to experience what I truly wanted in my birthing experience. She was a teacher, partner, and over all advocate for me and my baby. I don't think there was a better match for me. Dana provided true care and support every step of the way. And in the end she showed me I was made of so much more than every bit of discomfort and pressure. As I begin the process of birth with fear I ended it as a champion! I cannot thank her enough as she will always be apart of the memory and experience of birth of my baby. She is so much more than just a birthing coach in her many skills, I was lucky to have worked with her!" "Dana helped tremendously in our labor journey. I was past the 42 week point, and Dana assisted my body into going into labor naturally as well as supporting us in the hospital. She is indeed Super Doula. I will not only recommend her to anyone I know, she will be the first call I make should I get the opportunity to be pregnant again. I've never felt safer or more at peace ... and I can't wait to get her expertise on infant massage!" "I highly recommend Dana! She provided education and lent us books which prepared me mentally for birth. She supported me physically through massage and emotionally which guided my husband and I through a natural hospital birth. She also can take pictures of your birth which I will always cherish the images she captured for us. I honestly believe that hiring a doula was the best decision I made throughout my pregnancy and I am so glad we hired her!" "I cannot thank you enough for the priceless role you played in our healing birth today. You're truly a treasure and I will forever be grateful for you. ♥ ... You certainly deserve some serious credit for helping me bring Callahan into the world and achieving the unmedicated VBA2C I so desperately wanted!" "Just finished up an awesome prenatal yoga sesh with my fabulous Doula, Dana! 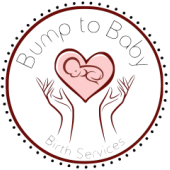 I cannot say enough good things about her and what she has meant to me with the upcoming arrival of Baby C. If you're looking for a Doula, she's AMAZING!!!" "You will forever be a huge part of our lives and our memory of bringing little B into this world! I can't thank you enough for being so amazingly helpful in such an amazingly vulnerable moment! You helped me champion in a time I didn't know if I could do much more than cry! Will always remember and be grateful for you!" "Dana sets the bar high for doulas! I don't know how she does it, but she is so graceful and thoughtful. I have not birthed with her yet, but we have been working together for a few weeks and she has helped support me emotionally SO MUCH already. I appreciate her ability to keep everything organized and follow up quickly with me on everything we discuss! My husband is very happy that we chose Dana to work with us, as it has taken the pressure off of him! I chose her package that includes an in-home massage, and my gosh, it was heaven. Dana is very skilled and is a beautiful lady to know." "I am so grateful that we had Dana by our side for the entire experience of the birth of our baby girl. I can't imagine going through it without her! From the prenatal massage and personal yoga session to her knowledge and expertise on birthing topics and coaching and support during the birth - everything she provided for us was invaluable, especially being first time parents! On top of everything, we have a beautiful birth video and pictures from our amazing day thanks to the hard work she put in to create that for us too! We highly recommend Dana...!!!" "I would never allow anyone who I just met to be a part of the most important day of my life but you made us feel so comfortable and your presence was so peaceful we had to have you as our doula! I was talking to two other ladies who happened to be your clients and we agreed on one thing, it is very difficult to interview and meet anyone else after meeting you." "I have had the pleasure to experience Dana's massage services - and she is absolutely fantastic!!!!! I am looking forward to the day when I can use her as my doula. I could not recommend her more highly. Simply. Could. Not." "Our experience with Dana was great. We met with her approximately 3 weeks before my due date. During the very first visit/interview, Dana gave us information to help us with birth planning, delivery day planning, etc. My hubs and I were very impressed with Dana's positive and professional attitude and her passion for childbirth and we decided to hire her right away. I was using Hypnobabies method for childbirth and Dana quickly picked up all the Hypnobabies techniques and even chatted with a Hypnobabies instructor to further increase her knowledge and expertise to serve us better on our Birthing day. Surprisingly, a day after we met Dana, I went into early labor which lasted a few days. Dana was there every step of the way, constantly keeping in touch with us and giving us tips and discussing all the options. I wanted an all natural birth with no medication, and Dana was super supportive of that. On my birthing day, Dana went above and beyond and paid attention to every little detail to make our day beautiful. The birthing suite had candles, aromatherapy diffusers, and Dana's Doula bag full of goodies to help us through labor. She was there during every contraction, holding my hands or using different techniques to manage contractions. She is also a licensed massage therapist and a yoga instructor, and those expertise were very helpful during my labor. My husband and I both felt very confident and comfortable during our birthing. Even though the labor started early and we did not have much time to prepare, everything went as we planned. Thanks to Dana, I had a pain free, unmedicated, peaceful water birth. She also took beautiful photos and videos of our birthing day. The hospital staff loved her, and her aromatherapy was a super hit amongst the staff and other patients. Everything from the first impression to the postpartum visit with Dana was great. I HIGHLY recommend Dana to other moms and dads."